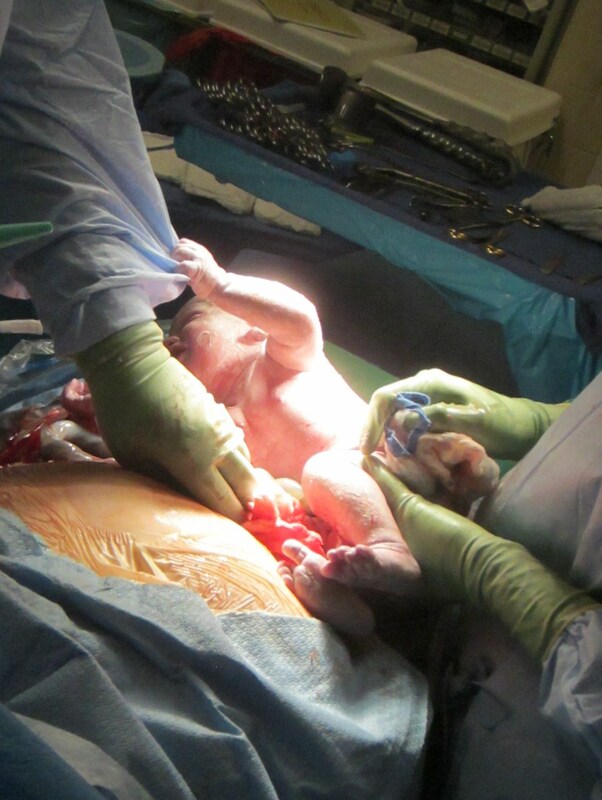 This post contains pictures of cesarean birth. 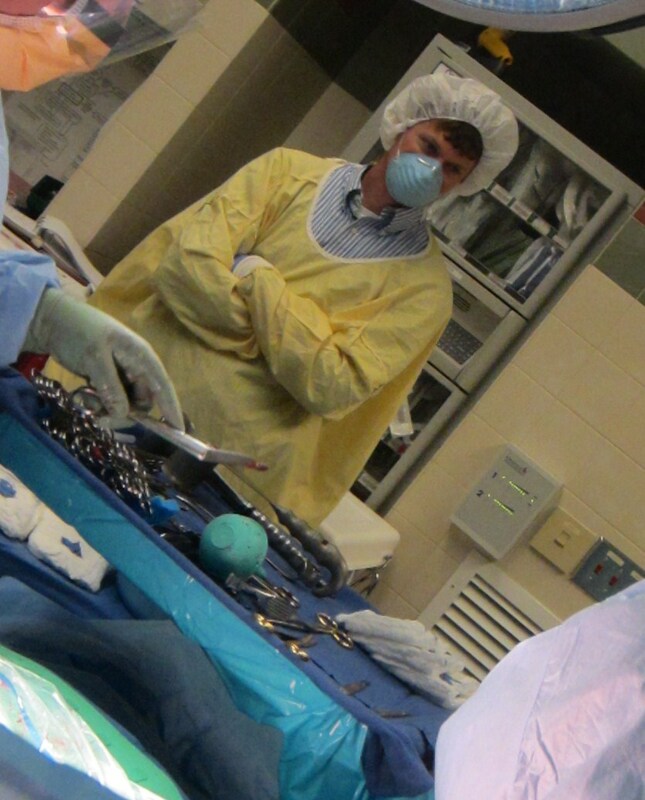 I am more and more impressed with Greer Memorial’s cesarean practices. If I had to plan a cesarean, that’s the place I’d give birth. 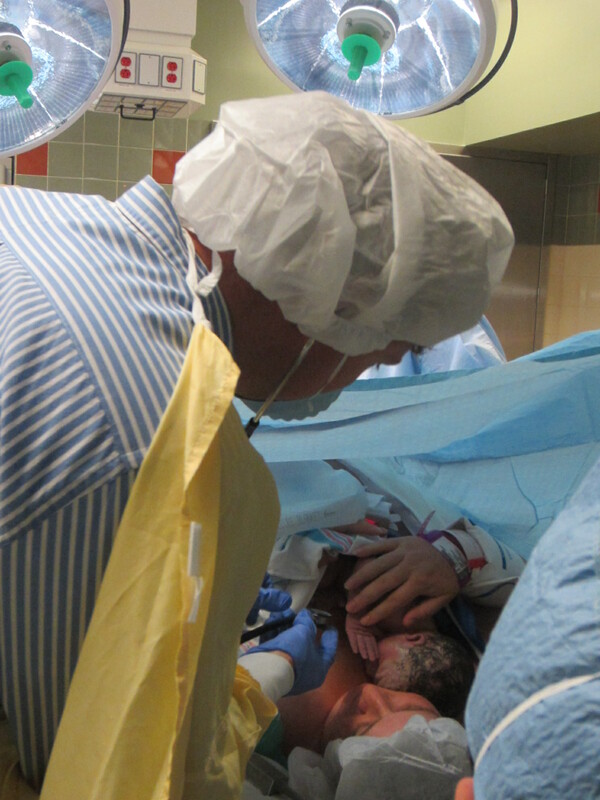 I was honored to attend a repeat client’s planned cesarean. I use the term “planned” loosely since her darling boy decided to come early. Just to keep us on our toes! Come to think of it…her last “planned cesarean” also had me rushing to the hospital. Her babies don’t like to be told what to do, I suppose. 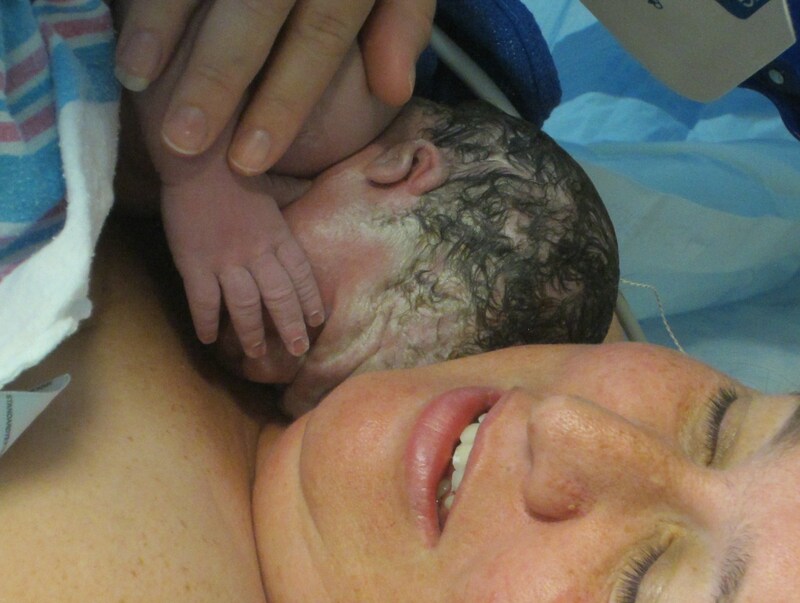 Here is her birth in pictures. I only took 150 snapshots so it was easy to narrow it down to a few. Hehe. Top reason I prefer Greer? 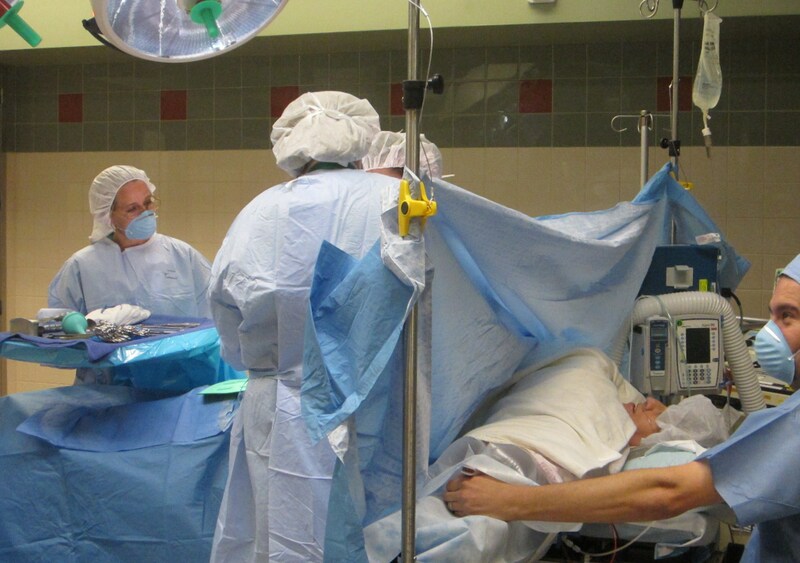 Doulas can enter the sacred operating room. 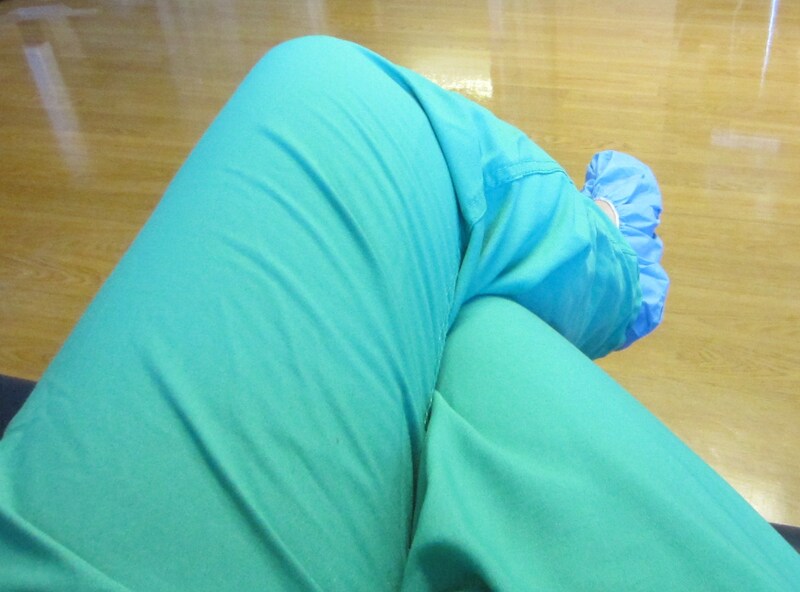 And I dig the nurse’s scrubs instead of the paper ones. In this picture, I’m waiting with dad. The mom goes back first and there is about a 30 minute wait while she receives her spinal anesthesia and her stats are monitored. Dad was nervous even though it wasn’t his first rodeo so we talked about our kids while we waited. Now we’re in the operating room. Notice mom’s arms are not strapped down. The sweet baby grabs an arm and says, “Wait! I want delayed cord clamping!” No, actually, Dr. Harris delays cord clamping because it’s not a big deal to delay cord clamping. (again, I’ve heard all sorts of interesting reasons why this can’t happen: a nurse will have to rotate out in order to hand baby to mom or it’s too darn cold in the operating room). Now you’ll see how fantastic it is that mom’s arms are free. Beautiful. Mom will never forget this moment. And perhaps, just as important, significant aspects of bonding, breastfeeding, heartrate and thermal regulations are happening in this moment. A little while later, that laid back pediatrician asks if he can just take a quick listen to baby’s heartbeat. He does so without disturbing mom or baby and then steps back once more. 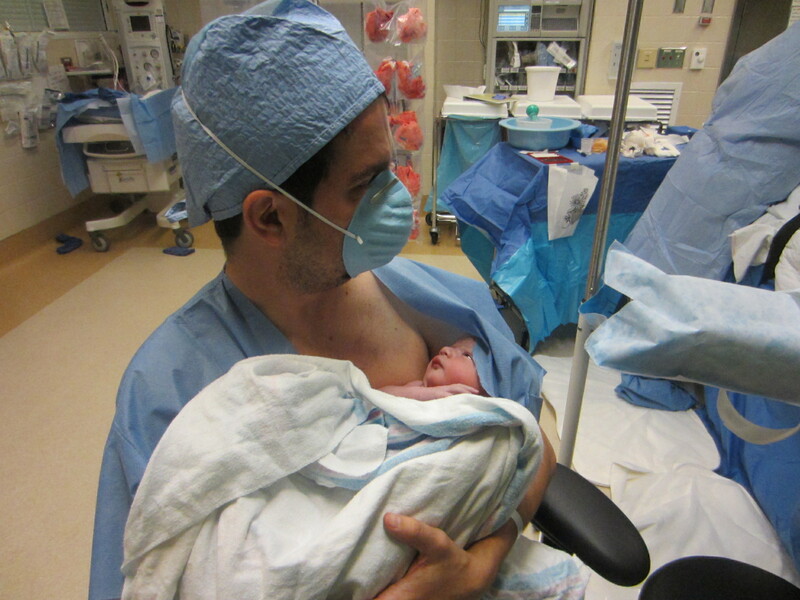 Twenty minutes after the birth, as they prepare to transfer mom to her room, Dad gets in on the skin-to-skin. Focus on the calm, alert baby. Do not focus on the bloody gauze behind him. Then mom is transferred to her hospital bed via a clever inflatable people-mover blown up with a shop vac. Fascinating stuff, hospital ingenuity. Side-note, many nurses wrap hep-locks in Glad press ‘n seal wrap so they won’t get it wet in the shower. Necessity is the mother of invention. The hospital bed returns to mom’s original room where she will stay until she goes home. 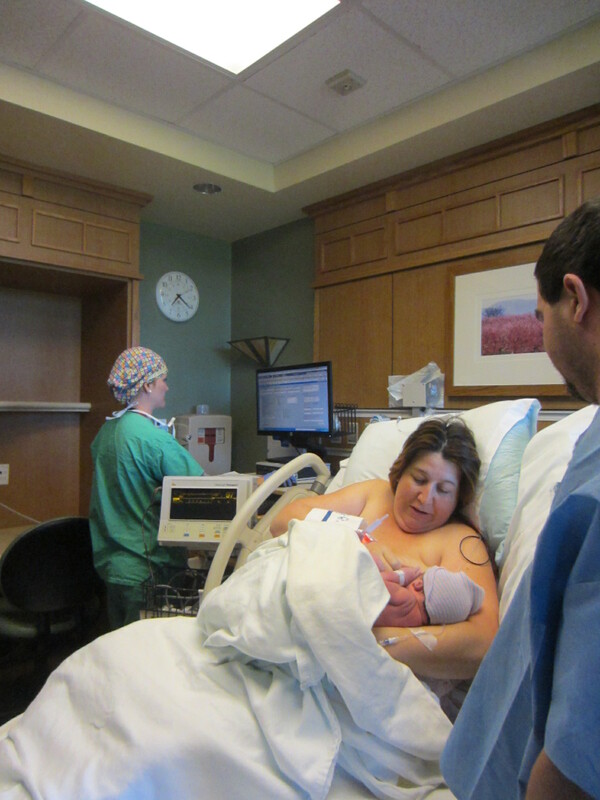 There are no recovery or postpartum rooms at Greer. There is no nursery either. Mom gets down to the first order of business. I don’t attend many cesarean births. 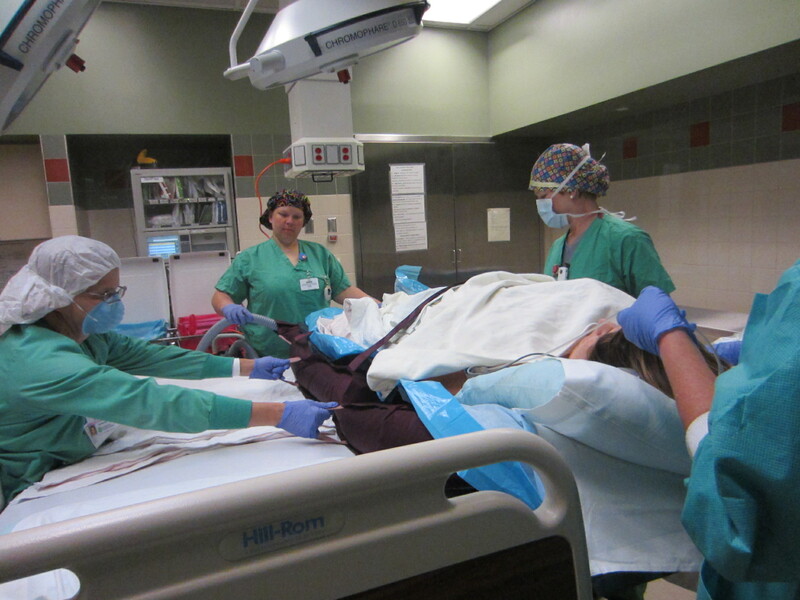 I’m honored when I am invited to a planned cesarean as part of the team. Many thanks to this sweet family for sharing their positive birth experience with the community. 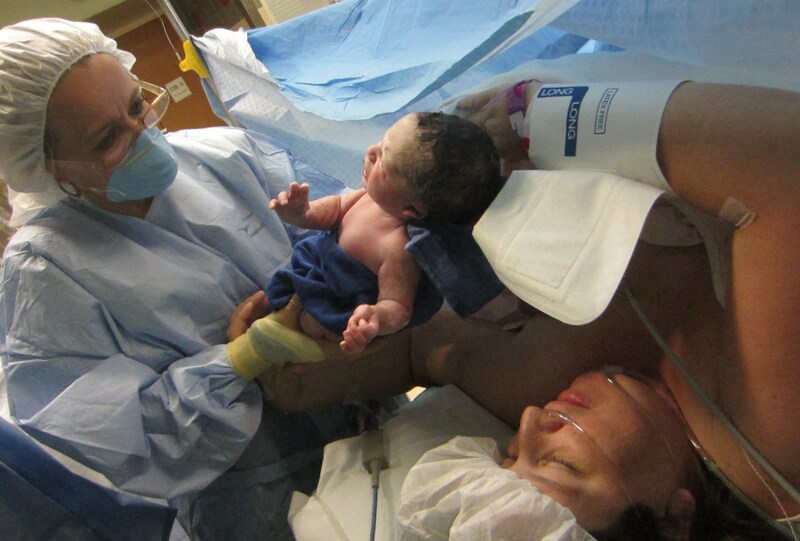 Another family-centered cesarean birth is featured here. 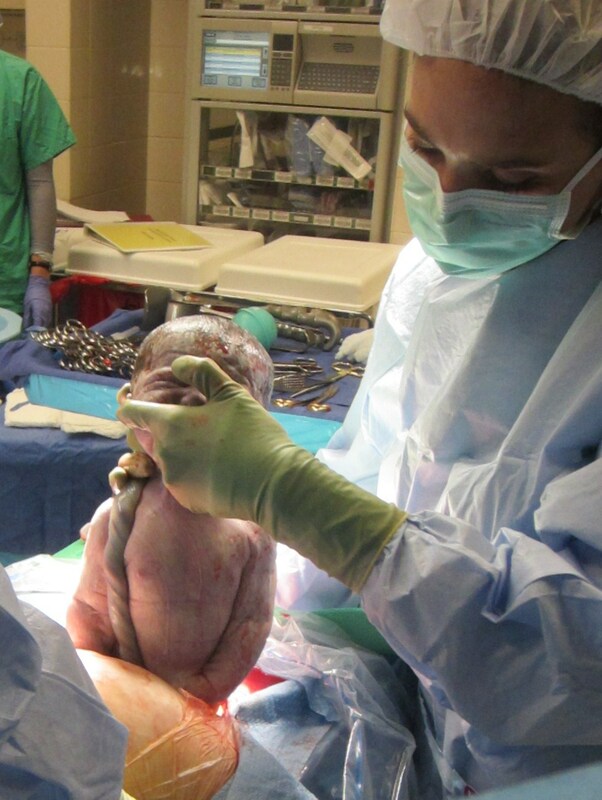 Posted in Birth, Doula and tagged delayed cord-clamping cesarean, Dr. Danielle Harris, family-centered cesarean, greenville doula, Greer Memorial, greer ob/gyn, immediate skin-to-skin cesarean, Julie Byers Doula. Bookmark the permalink.